Security checks at airports have largely been accepted by the public as an essential exercise to ensure the passengers own safety. However high handedness by over zealous and at times perverted customs and police personnel often leads to a justified outcry and condemnation. 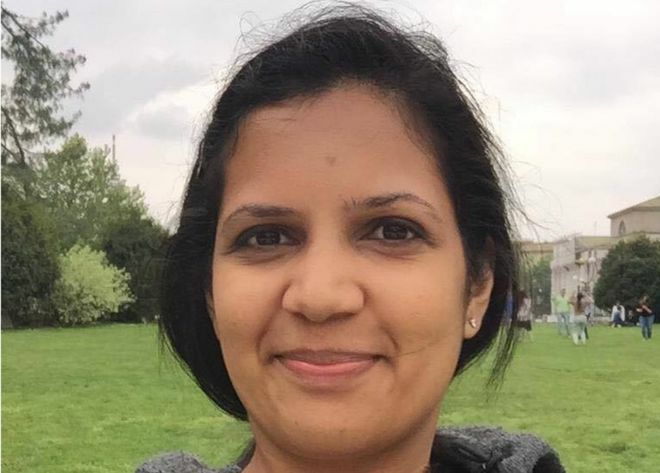 A 33-year-old Indian-origin Singaporean woman has said that she was “humiliated” by German police when was told to squeeze her breast at Frankfurt airport to prove she was lactating, a media report said today. Gayathiri Bose, a manager at a transport company who has a three-year-old child and a seven-month-old baby, said she has filed a complaint with German police alleging she was told to squeeze her breast at airport security to prove she was lactating. She told the BBC she was “humiliated” and “very traumatised” by the experience and would explore formal legal action. She said police at Frankfurt Airport were suspicious because she was carrying a breast pump but travelling without her baby. German police declined to comment on the specific allegations, the report said. But they said such measures were “clearly” not part of routine procedure. Bose, who was travelling alone, said she was on her way to board a flight to Paris last Thursday when she was stopped at the security screening station. “[They had] an incredulous tone. ‘You are breastfeeding? Then where is your baby? Your baby is in Singapore?’,” she said about the 45-minutue episode. They kept her passport and she was then led to a room by a female police officer for further questioning, she said. “The officer just said, ‘Okay it is over now, please go’. He added: “If a suspected explosive is detected at an air safety control point, the baggage and the person must be searched. The measures you have described for a breastfeeding mother are clearly not included.